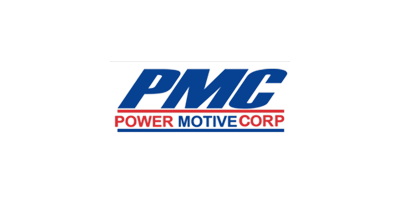 Since 1959, Power Motive Corporation has been a distributor of small industrial construction equipment. Through the years, the company has expanded its product offerings and industries served which today consists of: construction, utility, energy, agricultural, forestry, infrastructure, manufacturing, mining, quarry, recycling, transport, paving, governmental and several others. Our company represents world-class manufacturers who are leaders in their industry. Power Motive is your construction and mining equipment dealer in Colorado and Southeast Wyoming for the following prestigious global suppliers: Komatsu, KPI-JCI, Astec, Takeuchi, Sakai, Sandvik, Morbark, NPK, Fecon, Hensley and more. We strategically chose key partnerships with world-class suppliers that meet our high standards of excellence both in manufacturing and product support. Our original equipment manufacturers (OEMs) are offered through purchase and rental options and complete product support capabilities through parts and service support. Power Motive has six full-service facilities in Colorado and one in Cheyenne, Wyoming. Our service capabilities offered both in the shop and field include: preventative maintenance, carbiding, hose making, hydraulic component repair, cylinder repair, line boring, undercarriage, welding and certified rebuilds. We stock a large parts inventory to support our product offering. In addition to genuine OEM parts, we provide an impressive supply of aftermarket parts for: undercarriage, ground engaging tools, drill products, scraper parts, paver parts and other major components. At Power Motive we pride ourselves on being 'The Product Support People.' One example of Power Motive's commitment to this motto is our 24-hour service response time which assures same-day service response if called in prior to noon and the next day for any calls after noon. One service that sets us apart in our industry is our Repair and Maintenance Program (RAMP). A RAMP is a contract that fixes the hourly cost to operate equipment, where PMC manages the repair and maintenance for the life of that contract. RAMPS come in a variety of different terms, coverages and are an excellent program to provide customers with a fixed cost to better assist in planning and bidding. If you are looking for that one-stop shop kind of business, we have the complete process for all our customers. It starts by tactfully placing sales and product support representatives that are knowledgeable and helpful with the demands of the construction industry. From there we ensure superior product support capabilities in order to provide excellent support to our customer base and machine population. In addition to our six full service locations, we have placed a dozen convenient parts drop boxes and offer online ordering so that every customer is adequately taken care of and done so at their convenience. Power Motive provides over 40 technicians with a full-line inventory that will match whatever you need. In today's ever changing marketplace, you constantly have to adjust to meet the customers’ expectations and the needs of the industry. Change is inevitable and it is critical in our business to stay ahead of the curve.